Last year, I celebrated my first 420 with a gift guide. Since then, I've continued to learn and test CBD for a variety of symptoms. I've also received great feedback from others who have tried the products. This year I share a new list of recommendations focusing in on the needs of those asking, "What CBD product is best?" or "Where do I start?". I first want to note that the products listed here come from HempMeds and I've selected them because I trust the quality and safety of their growing, testing and production processes. My trust was recently reinforced with they announcement that they have the first CBD product to be listed in the medical mainstream resource Prescribers Digital Reference (formerly known as Physicians Desk Reference. Now, on to the list! Tinctures and oils seem to be an easy way for people to get started with CBD. The price-points and less stressful and oils are easy to take. My recommendation is to look for full spectrum oils and the amount of CBD in the bottle and each recommended dose. A simple hemp oil is much different and may not provide the effect one is seeking. A 1 oz bottle of RSHO Blue Label Tincture is an ideal starter supplement for anyone wanting to give CBD a try. It is full spectrum decarboxylated hemp oil containing 100 mg of CBD. RSHO Hemp Oil Gold This 4 oz bottle of easy to use liquid oil is full spectrum and contains 1000mg of CBD. It has a clean light coconut oil flavor with only a hint of earthy hemp. It is an ideal choice for those using CBD during the day and, possibly, using larger doses. Another easy-to-use CBD product was featured in my list last year, but it now comes in a new flavor - Sour Apple. The Dixie Botanicals Kicks contain 5 mg of CBD, B vitamins and slow-release 100 mg caffeine for a low calorie energy chew. It is ideal for getting through an afternoon or anytime you need a little extra boost without the calories of energy drinks. Chocolate and Mango Citrus are also available. Last year my list included a salve that has further proved its value - especially for swollen and irritated injection/IV sites. But, some might prefer the efficiency of a roll-on, especially if it is needed for the back or other large areas of the body. The Active Relief Roll-On contains 10 mg of fast acting CBD that combats stiffness from everyday activities. Lastly, to celebrate, I'll be adding "beauty" products to the shop for those with functional limitations. Why? Because, those challenged by chronic illness, pain and the limitations it brings can feel and look a bit run down at times. Seeing ourselves look better and less aged, might also help us feel better. That positive feeling and outlook could actually impact our overall health and wellness. The first item added is Defined Anti-Aging Cleanser contains CBD-rich hemp oil, dragon's blood and astragalus to nourish and deeply cleanse the skin. It removes and hydrates the skin; leaving a noticable difference. If you don't believe me, ask my husband or 80-something year old sister-in-law. My mom first learned I had drier skin than most during one of my newborn visits. Dry skin and use of lotions and moisturizers has been a part of everyday life for me. Growing up in the humid south was a bit easier than it is now that I'm in Southern California. Dry weather (winter or summer), dehydration and a new medication all add to dry, cracking and painful lips. Our lips don't have oil glands, so applying balms and ointments directly to the lips can help. But, sometimes this isn't enough and we also need to make sure we are drinking plenty of fluids. Last summer, while on a road trip to Nevada and the desert, I had severely chapped lips after starting a new medication. I used ointments, kept a bottle or glass of water with me constantly and patted water on my face. It was painful and a bit labor intensive. After returning home, I pulled out the humidifier I used for my children when they were sick and plugged it in on dry days. At some point I started thinking about a portable humidifier. As luck would have it, I was sent a sample of MistPro3 from MistyMate. The funny thing is that it was pitched to me as a personal mist-cooling device for the music festival season. While this might be an excellent use, I immediately thought of a portable and personal humidifier to provide relief when dry weather or environments (airplane, home, office, car, etc) leads to severely chapped lips! This week has been particularly dry and windy here in Southern California and it was my first opportunity to really test the MistPro3. What I like best is that it uses manual pumping to pressurize and propel an ultra-fine mist. I fill it with water, take it ANYWHERE and gently pump to pressurize the device. I can spray it right on my face/lips and because it uses microparticles that flash evaporate, I'm not a dripping mess. In addition, the water lasts much longer that anyone would expect by looking at the small canister capacity. The MistyMate is truly a portable personal humidifier and anyone with chronically dry skin and lips will appreciate this little device. The langanippe is the cooling effect it will also have on those especially hot days. I don't think I'll be leaving home without it! A few years ago I listened to the audio book Eat Pray Love. It is the story of a woman who re-examines herself after a life change and goes in search of her new self. My hero, of course, plans ahead for her journey to foreign lands. My life change has been a chronic illness and aging; also just a few years away from being an empty nester. I've found myself re-examining myself in the context of my functional limitations, treatment schedule and young adult children who increasingly are pulling away. I've also started looking toward my husband's retirement and went home to help care for my mom for a month and a half. She and I cleaned and cleared her bathroom and bedroom of clutter and things no longer relevant, so she could focus on what she needed and was important. After returning to my home early this year and catching up on my life, I found myself starting to clear and clean my own clutter and things that are no longer relevant, so I can focus on what I need and is important. I also find myself wanting to prepare for a smaller household and move, so that I can expand my own inner search by journeying to not so foreign lands. This has made me remember Elizabeth Gilbert's book ... and the need to use or rid myself of things so I can travel lightly - in body and soul! What follows are things others like me can do to begin to shed some of the weight that burdens us. The weights sometimes add work and time to what should be a simple routine, or divert resources away from what is more important. 1. My first stop was in the bathroom and my makeup drawer. Years of being a working woman meant looking the part. No longer do I want to need to wear makeup every day. And, there were things in that drawer that I will never wear again because it is out of style or as in the case of mascara, I can't due to tremors. What is left are the few things that I do want and need, a clean drawer and a little bowl of all the extra suit and dress buttons I always saved in case a mend was needed. For now, these buttons are a small reminder of what was my past. 2. In the kitchen, I'm currently going through drawers and cabinets and riding myself of things no longer or never needed and wanted. These are things like a set of frames that got lost so long ago and serving dishes that haven't served and probably never will. It also includes baking and cooking items bought over a generation, so that my three children could join me in the kitchen to learn to measure, cook, clean and appreciate accomplishments. These special items are offered to the kids and they are choosing what to keep and what to donate to others. All the empty sprinkles bottles and broken popsicle molds are going in recycling. 3. In my office... oh my office. The paper is being recycled slowly, but surely. I'm reliving the newspaper clippings, shredding old consulting files and recycling all the old business cards and back up materials to move me closer to a fully digital world. The extra space is being used for new interests and hobbies; including my Etsy shop that is great hand therapy and my store for people with functional limitations. There is also room for me to move gloves and hand tools closer to the garden. 4. Speaking of the garden. I can't do the big push gardening, as I did in the past. So I moved it outside my office where I can see it every day and enjoy short tinkering around the plants. In addition, walk up gardening is much more enjoyable and forces you to prioritize the amount of planting. 5. The collection of things in the garage was my most recent project. Skateboards, helmets, surf wear, balls and more went first to the local sports shop that buys used equipment. The rest was donated. Move boxes left by my young adults were consolidated and returned. Trash, empty boxes were pulled out and the rest was organized. The art desk - not touched in many moons - is partially done. The dried up finger paint and dough are in the trash. The beads have been donated in bits and spurts. I'll hold on to a few things that may come in handy for my new life or if I just need a little more time to give it up. What's next? Our yard is a mini Lotusland and our collection of exotic plants. My husband and I can no longer manage the amount of care needed and in some cases need to thin what we have so other plants have more room. We will sell what we can, so others can enjoy our labors over several years. We will also prune and trim fruit trees down significantly to make them more manageable; and probably improve the quality of fruit at the expense of quantity, which isn't really needed. After that, the attic! I have five years to prepare. Five years to continually lighten my load and free me from stuff and responsibilities no longer desired. Five years to reflect and prepare for a new journey. I'm off to a good start. Are you? Early in my career I focused my mental energy on my goals, and opportunities seemed to appear when needed the most. I'm an optimist and also believe I must address challenges in order to control my destiny. The mind has always fascinated - why do people do what they do? And, how do they do it? Mark Gober's recent book, An End to Upside Down Thinking considers the role of the brain in creating consciousness and explores scientific data in a variety of fields; including quantum physics, psychic phenomena and near death experiences. He guides the reader in critically thinking about the role of the brain (physical matter) on reality and consciousness. It is a fascinating read that has implications for medicine and wellbeing. Below are key considerations we should all ponder. Proven and accepted science sometimes defies common sense. Quantum physics, the idea that "the universe doesn't always work in a way that aligns with our everyday experience". It can explain invisible connections or "weird phenomena"; such as, telepathy, psychic abilities, and extrasensory perception. Evidence presented suggests the need to re-think the materialist claim that the brain produces consciousnesses. This has significant implications for neuroscience. Science and mainstream thought have been wrong in the past. "The world is flat!" The idea that the brain doesn't produce consciousness would require a paradigm shift in thinking; and some scientists to admit they were wrong. Nikola Tesla once said, "the day science begins to study non-physical phenomena, it will make more progress in one decade than in all the previous centuries of its existence." The statistical evidence for telepathy (mind to mind communications) is overwhelming. Precognition - studies show parts of the body (skin, eyes, brain, heart) respond before participants know what is coming. Energy healing experiments suggest mental interventions can protect cells from radiation and kill cancer cells. Our broader reality of conscious can be drowned out by the noise of our everyday, localized life - delaying attainment of self actualization. Communications with the dead (mediums), deathbed visions and terminal lucidity (unexplained mental clarity before death) challenge our definitions of life and death. All humans have the potential for psychic abilities. Yoga, meditation, sensory deprivation, etc. can help sharpen ones skills. "The abilities, limitations, and threats of artificial intelligence may ultimately depend on our understanding of where consciousness originates." Psychedelics (psilocybin) has reduced anxiety and depression about the prospect of dying in terminally ill cancer patients. There are also potential therapeutic benefits in other areas of mental health; including PTSD and addiction. Our minds and intentions can impact our healing and be enhanced by patient engagement and activation activities. Doctors should not limit their focus to physical causes and treatments of illness. They should also incorporate non-physical and mental aspects for a broader approach to patient-centered care. What do you think? Is it possible to open up our consciousness so that we can find the paths we should travel? Being prepared for a disaster is the responsible thing to do both personally and professionally. Disasters create business and personal risks... especially for those with special needs and/or functional limitations. Over the years of promoting preparedness and urging communities and individuals to collect supplies in advance of an event, I've come across several checklists to provide guidance with the process. But at a recent senior fair, I found a visual checklist and thought this would be important for some individuals - beyond those who are unable to read. What is most important to you? What do you need if you are at home... or on the road? Does ALL CAPS still indicate screaming online? In the early days of the Internet, typing in all caps was deemed to be rude and screaming during online conversations with others. However, is this really always or still the case? This question occurred to me after reading an exchange in an online support group and it may be time for a re-visit. When I want to emphasise something, I often use an exclamation point, italics, bold or colored text. I really can't remember a time when I used ALL CAPS - until now. Other options are also available, such as using heavier fonts. What I read in the online support group, after an accusation of screaming, is that this person uses all caps in her typing routinely - because it is easier for her to see and make out letters. She has a visual impairment! I guess she could increase the font, but that requires some extra clicking for each textbox. But, we are all different and capital letters may just be the easiest for her to read. Research findings from 2007 do indicate "upper-case is more legible than the other case styles, especially for visually-impaired readers, because smaller letter sizes can be used than with the other case styles, with no diminution of legibility." They found that upper-case text is more legible in terms of reading speed, for readers with reduced acuity due to visual impairment, and in normally-sighted readers when text is visually small. The bottom line is upper-case text is simply more legible, albeit less aesthetically appealing, than lower-case. But, do a Google search and you will find not everyone agrees, including the American Foundation for the Blind. So, this brings us back to the individual person and their specific vision impairment or sight weakness. Older adults are online in much greater numbers today; and we know vision impairment is common in older adults. So, what do you think? Is ALL CAPS easier for you to read? Aging often brings chronic illness and pain into our lives. However, we aren't the only ones in the family who can suffer from this. Our pets - dogs, cats, horses, etc - can also experience arthritis and other conditions. And, even our younger pets, especially those who were rescued, may also experience anxiety. Fortunately, cannabinoids (CBD) can also help our four-legged family members. The CBD I've seen tested is HempBone Bacon Apple Donuts with 4 mg of CBD in each chew. Just as for their human friends, finding the right dose and quality products is important is important for pets, too. Each bag includes 40 to 50 donut chews and recommended dosing depends upon the size of the animal. 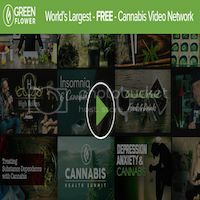 Feel free to share your experience with CBD and pet(s) in a comment to add to the conversation.